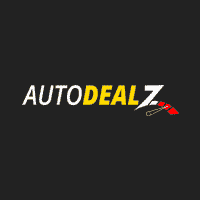 Super friendly and great customer service...... thank to Auto Dealz for a great deal!!! Had a great experience. Employees were very nice and professional! The office area was very clean. Mario was the person who helped us. He was very kind, and knowledgeable. He went step by step, told us everything upfront. Gave personal experiences which made it feel more casual then a normal business type of vibe, which I appreciated. He went out of his way to help us get a car within our budget. Would definitely recommend. Muy contenta con la atención que recibí. Mi vendedor, Armando muy paciente al explicarme, aprecio mucho la honestidad, como dicen por ahi cuentas claras amistades largas, sobre todo hizo todo lo posible porque saliera contenta con mi carro, tanto en precio como en mis pagos. Gracias AUTODEALZ. Nos vemos en mi próxima compra.